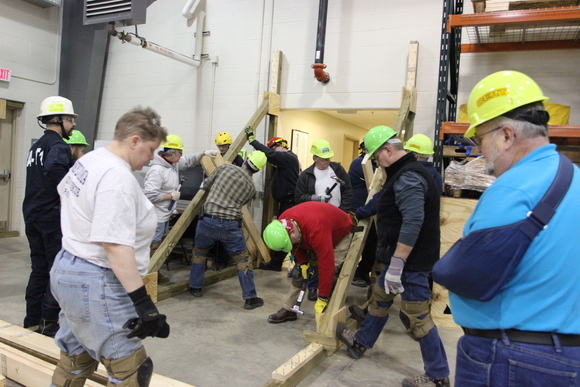 On March 11, 2015 twelve volunteers from the Erie County, Pennsylvania Community Emergency Response Team (CERT) went to jail, but not for the reasons one might think. The Massachusetts Emergency Management Agency's Citizen Corps and CERT Program Coordinator developed a Best Practices Guide to help local Massachusetts communities start and maintain successful CERT programs. On the morning of Tuesday, August 19, 2014, unusually heavy rains struck New River and the surrounding communities that Daisy Mountain Fire Department serves. When a local community’s professional services are of limited size, scope, and capability, self-sufficiency becomes even more important. Point Roberts, a city in Whatcom County, Washington is geographically unique: It is the only part of the 48 contiguous states that can only be accessed by air, sea, or through a foreign country.